Catalog Page 42. 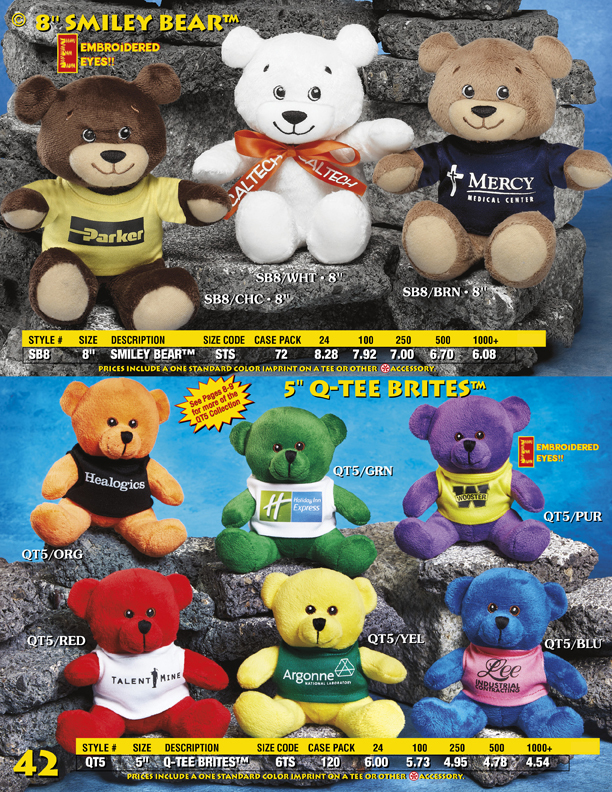 5" smiling teddy bears and 5" Q-TEE Brite teddy bears are offered in a variety of colors. Choose from red, green, blue, yellow, orange, purple brown and white colored bears. The above pricing includes the printed t-shirt. We do offer additional 5" teddy bears on catalog Page 8 and Page 9. The colored bears are great for holiday themes. Orange for Halloween and red color for Valentine's Day. The lead-time for production is 10 - 14 days.